In a first, the Drug Controller General of India (DCGI) have given approval to a chain of dermatology and plastic surgery centres— The Esthetic Clinics, for conducting clinical trials and drug development for skin, hair and other plastic surgery medications, cosmetology and cosmetic surgery devices in India. The initiative will help in the faster launch of newer, more innovative, cosmetic, dermatology and plastic surgery products, while reducing cost involved in product testing. It will benefit Indian pharmaceutical companies by granting them access to quality research facilities, clinicians and laboratories in India, without having to go overseas, to conduct the trials. At present, clinical trials are not mandated for every cosmetic product that enters Indian market provided it is approved in other markets. There are a few clinical trials that are conducted by clinical research organisations in India, but they do not have the clinical acumen in cosmetic, plastic or aesthetic segment. Majority of clinical trial centers work in pharmaceutical drug development, but not for cosmetic and aesthetic solutions. Dr Debraj Shome, renowned Facial Plastic surgeon & Director, The Esthetic Clinics, reportedly said that caring for skin and hair is a business where unmet needs still abound and people around the world are waiting for newer and better solutions. Considering India now has the clinical acumen and have the ratification of the DCGI & CDSCO to conduct clinical trials for top quality cosmetic needs, far more newer products and technology will be hitting the Indian market than before. MNCs as well as homegrown companies can easily enter the Indian market at much lower costs, keeping in mind local needs. The DCGI under CDSCO is the supreme regulatory authority in India which gives recognition to clinical establishments, hospitals and organisations based on a set of parameters/guidelines to perform clinical research. These guidelines are aimed to protect patient rights and ensure products fulfill quality standards. Explaining the importance of conducting clinical trials in local population, Dr Rinky Kapoor, top cosmetic Dermatologist & Director, The Esthetic Clinics, reportedly said that many products in cosmetology and aesthetics are launched in India based on clinical trials conducted overseas on caucasians or black population and not on the Indian population. Indian skin is different and therefore it’s response to medicines is different. Hence, it becomes important to do clinical trials in our particular population where the product is going to be launched, instead of performing the same in a completely diverse population. The Esthetic Clinics have been at the helm of clinical research for close to a decade. 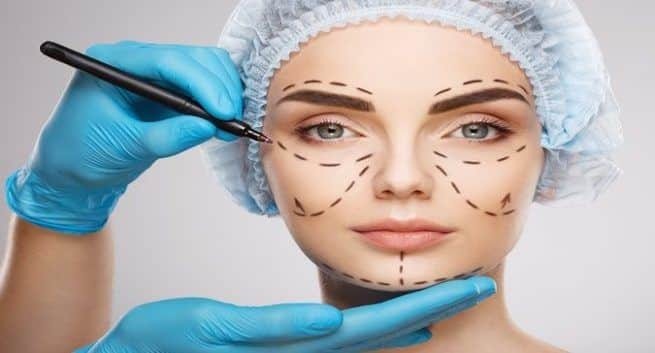 The institute has made outstanding contributions in the field of facial plastic surgery, cosmeticsurgery, plastic and reconstructive surgery, cosmetic dermatology, skin care and aesthetic medicine. It practices evidence-based medicine, is at the forefront of cutting edge global clinical research and has to their credit over 60 national and international peer-reviewed publications and two global patents for their research around eye cancer & for the invention of a revolutionary hair regrowth composition called the QR 678 growth factor injection. The organisation has around nine centres across India with 6 centres in Mumbai and one each in Hyderabad, Kolkata, Surat and Delhi. The global hair formulation market is valued at US $ 7 billion while the skin care industry is estimated to be US $ 50 billion. The key growth drivers for the industry are changing consumer lifestyle, increasing awareness on aesthetic beauty and rising disposable income. Multinational players with international brands have a strong presence in the Indian formulation segment.